CBS have become the first US TV network to launch a dedicated streaming TV service that will let viewers watch live TV content, as well as catch-Up and full seasons of hit shows on-demand. 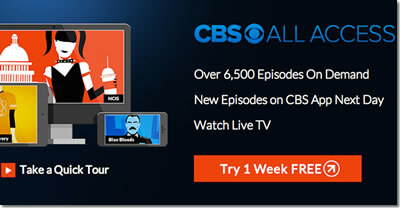 But there is a cost involved with the service, which is called CBS All Access and will set back users $5.99 monthly. On offer will be live streaming of local CBS TV stations in 14 areas that include New York, LA, Chicago, Philadelphia, Dallas, San Francisco, Boston, Detroit, Minneapolis, Miami, Denver, Sacramento, Pittsburgh, and Baltimore. Also available is on-demand streaming of 15 hit shows such as NCIS, CSI, and The Good Wife, along with thousands of episodes of classic TV shows such as Star Trek and Twin Peaks. Although some CBS content is available for streaming elsewhere such as Hulu and Netflix, CBS All Access will be the first time that a bigger catalog of CBS shows can be accessed. The service will be welcome to cord cutters along with those that are looking to dump expensive cable and satellite for a more ‘a la carte’ service, and makes for a good week after cable giant HBO also just revealed plans to offer a streaming service in 2015. The big news about this service is the offer of streaming live TV. Previously those wishing to dump cable have had to endure waiting a day (or even several), before seeing TV shows. The other big news (and also bad news) is that live sports streaming of major events including NFL will not be available at this time. The service can be accessed through the CBS All Access website as well via the iOS and Android apps. The premium cable platform HBO has always been ‘premium’ service in every sense of the word, with subscribers requiring first a cable or satellite TV subscription, then an HBO subscription on top of that, only then being able to access the content (such as Game of Thrones) and platforms (like HBO Go) that the broadcaster has to offer, at least if you’re doing it legally. But next year could see that key first step removed from the process, at least for those cord cutters that want it to be, after HBO announced their plans to launch an online streaming service in 2015. Not to be confused with the HBO Go platform, the network will apparently begin sale of a digital-only version of their service, one which will bypass the need for a pay-TV subscription beforehand, according to company CEO Richard Plepler in an investor presentation yesterday (15 October). Though details such as pricing are unclear at this point (albeit likely to be of a similar price to its traditional counterpart depending on what is offered) Plepler explained that HBO are set to begin service of a “standalone, over the top” edition of HBO in 2015 in the USA. He also noted that the company are set to continue work with their “current partners” on the matter, with others to potentially offer support shortly after (with Amazon and Hulu amongst those rumoured to potentially partner with HBO as additional means of streaming content), though no further details on the potential new platform were provided at this point. The news comes in the same week that US network channel CBS announced a streaming live and on-demand TV service called CBS All Access. Looking to add to the $4.9 billion annual revenue figure they currently enjoy, will HBO be able to attract any new viewers to some of cable TV’s hottest properties without having to go through the rest of cable TV first? There is always someone ready to benefit after the misfortune of a rival. In the case of Aereo that someone is PlayOn, who are targeting subscribers of the service that had to cease streaming on Sunday. So the deal on offer is a combo of the PlayOn streaming service, plus the PlayLater DVR recording service for offline viewing, and a shiny new Google Chromecast for $69.99. 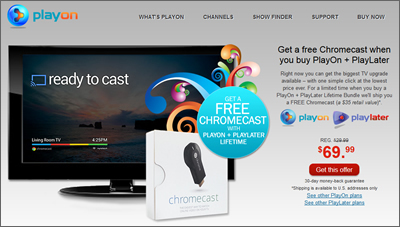 Mediamall Technologies who developed the PlayOn server software, say that for every one of the lifetime subscriptions taken, customers will receive a Google Chromecast for free. The company are hoping to appeal to former Aereo customers. Aereo lost it’s supreme court trial and have had to shutdown the service for now. Find more details on the limited time PlayOn Chromecast offer here, and if your looking to cut cable then read our cord cutting guide right here. UK satellite TV broadcaster Sky have seen profit and broadband subscriber numbers fall for the first time as they face stiff competition from rivals and internet based streaming providers. The fall marks the first drop in 15 years for the broadcaster as traditional TV stalls in the face of new and cheaper technology and the ever present risk of users cutting the cord. Although Sky grabbed 74,000 new broadband customers in Q3, that was a drop from 152,000 for the same quarter the year previous. The company revealed pre-tax profits of £793 million for the nine months to March 2014, which is a drop from the £966 million a year previously. That drop is partly thanks to a shift in the way viewers consume content, with low cost Netflix subscriptions giving unlimited streaming for around £6 per month, compared to Sky subscriptions which can hit £45 monthly. Sky are also battling with newcomer and new sports TV heavyweight, BT who nabbed TV rights under the nose of Sky for Champions League and Europa League rights in a £1 billion deal. Sky are fighting back against the online threat, to try and compete with Netflix, Sky launched the Now TV service which has grabbed them 3% of online viewers, and they are making their Sky HD box 4k compatible. 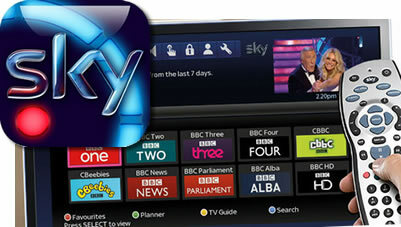 Sky say that almost half of Sky TV homes are now hooked up to its internet connected TV service, which lets viewers watch box sets and content on-demand for no extra cost. The dramatic effect of cheap online streaming from services like Netflix and Hulu are having an increasing knock-on effect encouraging users to cut the cord and leave expensive pay TV services say a new report. The news comes from a report by Experian Marketing Services which indicates that high speed broadband connected viewers cancelling cable or satellite services has grown by 44% during the last 3 years. The big factor in converting users to abandoning cable seems to be getting the content onto a big screen TV, which is getting easier by the day with products such as Chromecast, Roku and Amazon Fire. The biggest demographic that will leave traditional Pay TV (or never even subscribe in the first place) is millennials who need to watch the pennies in the modern world and see cable cutting as the ideal solution. 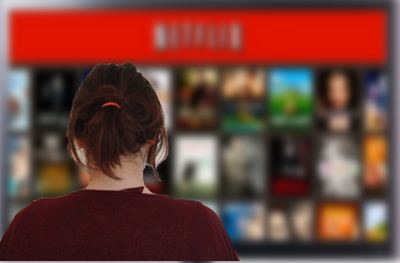 “Young millennials who are just getting started may never pay for cable,” said Fetto. The report states the obvious in that most of the 44% of cord cutters also have a streaming subscription to Netflix oraccess to Hulu streaming. But not everyone is interested in stopping cable, both sports fans and families with young kids are still resisting. And Cable companies are not resting on their laurels as the cable cutters leave in droves, they are offering a number of online and a la carte offerings so that subscribers can pay a lower amount for just what they want.